At the Ranch, every effort is made to insure that each guest has the highest quality upland game bird hunting experience. We offer a full service pheasant hunt package and day hunts. All hunts include a local Ranch guide and dog handler, experienced gun dogs, transportation, and some of our delicious homemade meals complimented by our friendly mid-western staff. 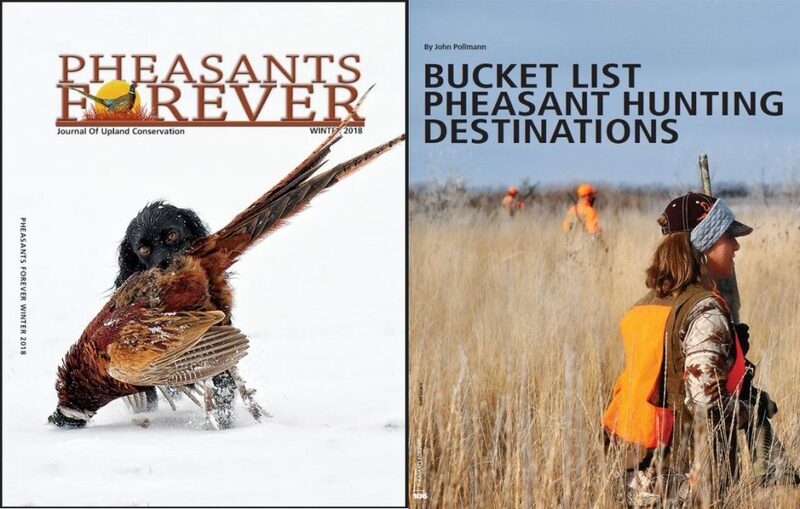 Bucket List Pheasant Hunting Destination! Information on what to wear, what to bring, to where you’ll sleep can be found on our webpages.